After years in laboratory limbo, 50 chimpanzees will be living in the habitat they've always deserved. On Wednesday, the National Institutes of Health (NIH) said it planned to retire the U.S. government's last remaining lab chimps, finally ending decades of federally supported testing on humanity's closest living relative. "It's rare to close out a category of animal use so emphatically," wrote Humane Society of the United States (HSUS) president Wayne Pacelle. "That's exactly what's happening here, and it's thrilling." Arden was one of more than 100 NIH chimpanzees living in the New Iberia Research Center (NIRC), the subject of a shocking HSUS investigation in 2009. "In no lab I have visited have I seen so many chimpanzees exhibit such intense fear," said Jane Goodall at the time. "The screaming I heard when chimpanzees were being forced to move toward the dreaded needle in their squeeze cages was, for me, absolutely horrifying." In 2013, following the recommendations of an internal working group, the NIH announced it was retiring almost all of the government's hundreds of research chimps, but keeping a colony of 50 "reserve" animals in cases of emergency. Since then, the NIH says it has received only one application to use the chimpanzees. It was later withdrawn. "We find no evidence that there is a need to continue to do research of an invasive sort on chimpanzees, not now and not going into the future," NIH Director Francis Collins told reporters on Wednesday, calling the decision "inescapable." In accordance with U.S. law, the animals will be moved to a federally accredited sanctuary. 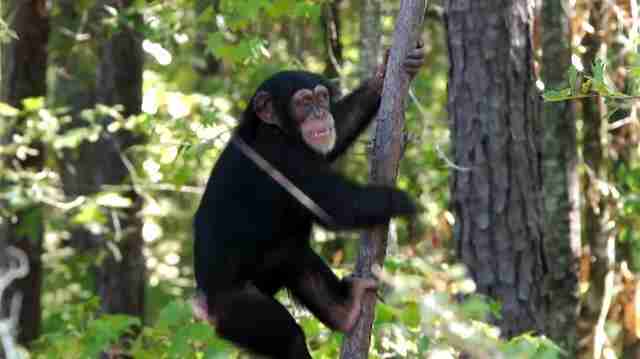 As Chimp Haven is currently the only such facility, it's unclear how long the move will take. 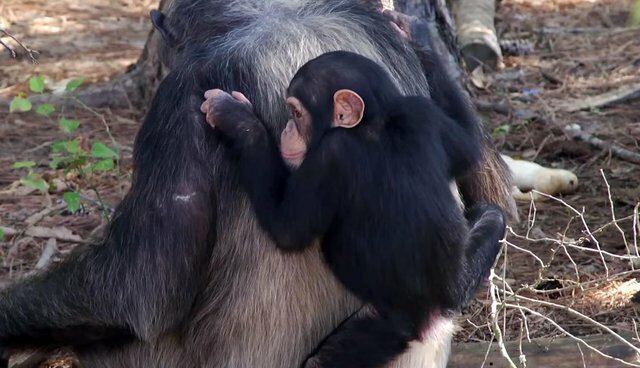 To help Chimp Haven give these animals the retirement they deserve, click here. Or click here to learn more about the HSUS' fight to end primate testing once and for all.